As Realtor.com puts it, “It’s a parched, scorching desert out there for many U.S. home buyers.” The country’s housing shortage has created a number of issues— for instance, the seller’s market means that prices have outpaced individuals’ income growth for five years running. In fact, Forbes.com predicts that the shortage will continue for at least another three years. The best way to help buyers and sellers in an uncertain market is to stay up-to-date on trends and educate them about their options. Across the country, the demand for homes has increased while listings have plummeted. Currently, many cities and towns have two months’ supply or less of available homes, a marked decrease from the 4.3 months’ supply of last fall (which itself was a decrease of 4% over the previous year).In the report “The Large Unmet Demand for Housing,” the Federal Reserve Bank of Kansas City states that new home construction is falling far short of rising demand. It also shows the ratio of existing homes for sale to U.S. households has dropped precipitously since 2011. 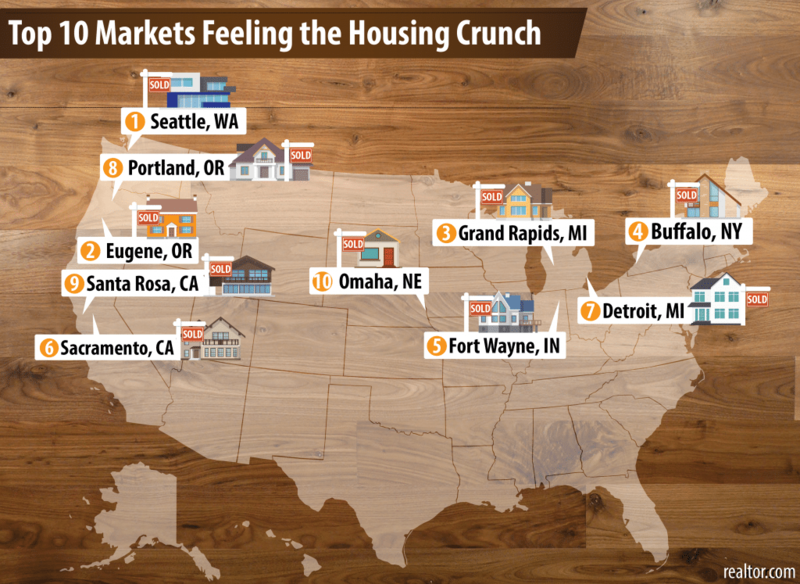 Although the housing shortage is affecting us here in New York State, the West Coast and Midwest are the hardest hit. In Eugene, Oregon, for example, where the number of for-sale homes has been dropping since 2015, houses in good condition and in favorable locations often sell within 72 hours of listing. And in Seattle—the top city on Realtor.com’s list for locations feeling the housing crunch (see graphic below)—65% of the land is zoned only for single-family homes, new construction is hitting a low point, and only one in every 263 established homes is for sale. Closer to home, in Buffalo, the city’s large Gen X-to-Boomer population—the key buyers and sellers—is staying settled, limiting supply even further. The shortage is inspiring multiple offers and even bidding wars. 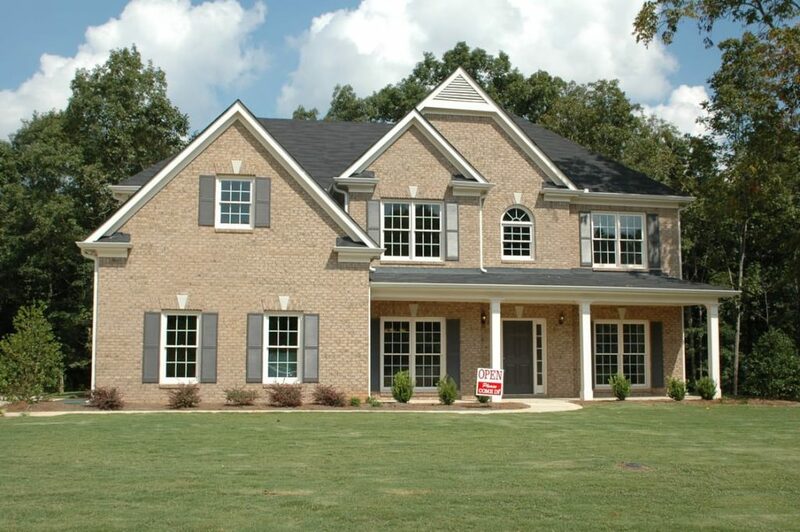 We are also feeling the housing shortage pinch here in Columbia and Greene counties. While Governor Cuomo and other advocates are pushing for a $2.5 billion budget to fund a very real—and very alarming—affordable housing crisis, the average middle-class buyer is starting to feel uneasy about the prospects of ownership. First-time homebuyers, including millennials and others who lack a long (or strong) credit history, are especially feeling the pinch from rising demand, which has driven up prices. Many are now opting to put their house hunting on hold until the market improves. And sellers whose future home purchases are contingent on selling their current property are reconsidering their moving plans. Whether the buyer is a first-timer or a fifth-timer, during a housing shortage, the Realtor’s job is that much more important. Make it a priority to check in with sellers who’ve been considering putting their houses on the market, and offer advice on prepping and listing their homes. Be sure to also listen to and address any fears about whether it might be challenging to find a home elsewhere, within their budget. Refer them to Realtor colleagues in that area so that they can get a realistic sense of the local housing market. Keep prospective buyers in the loop on any new listings that fit into, or close to, their criteria. And stay in close contact with lending agents in your community, so you can send your clients to someone who’s knowledgeable about their financing options. In addition, encourage your clients to become pre-qualified for a loan, to place them in a favorable spot should they make an offer. Taking these steps will ensure that your clients recognize you as a resource. They will know you’re in their corner for as long as the housing shortage continues.